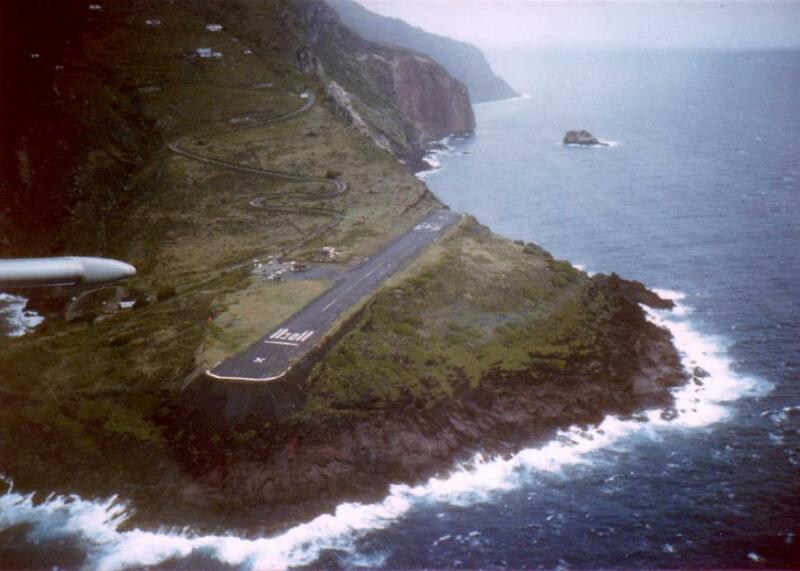 The shortest landing strip in the world is found at the Juancho E. Yrausquin Airport on Saba Island. It’s the landing, not the flying you have to worry about. This minuscule airport on a Dutch Caribbean island boasts a strange claim to fame: the world’s shortest commercial landing strip—and some say one of the most dangerous. Located on the Dutch Caribbean island of Saba, the landing strip at the Junacho E. Yrausquin airport stretches for a mere 400 meters or 1,312 feet—making it just a bit longer than a typical aircraft carrier—before steep cliffs on either end threaten to plunge an unsuspecting pilot into the water. That’s also assuming the aircraft doesn’t run into the high hills flanking one side. The landing strip is closed to jets, so to experience it you’ll have to hop aboard a smaller aircraft like the BN-2 Islander or the Twin Otter. The only airline that flies regularly scheduled trips is Winair; it’s a short 12-minute flight from the island of St. Maarten or a 90-minute boat ride. Named after former Aruban minister Juancho Irausquin (a typo in whose name was immortalized on official documents, maps, and the airport’s name), the airport began operating in September 1963. Despite the fact that there hasn’t been a fatal accident here, many aviators consider it one of the world’s most dangerous airports. Submitted by Atlas Obscura contributor daviddoochin. When zealous marijuana enthusiasts kept stealing the “Mile 420” highway marker, the state of Colorado created a marker at 419.99. The life of one of FDR’s possible mistresses is preserved in her palatial Hudson Valley mansion. No one really knows how these old hobby horses got here, but the Ponyhenge herd keeps growing.